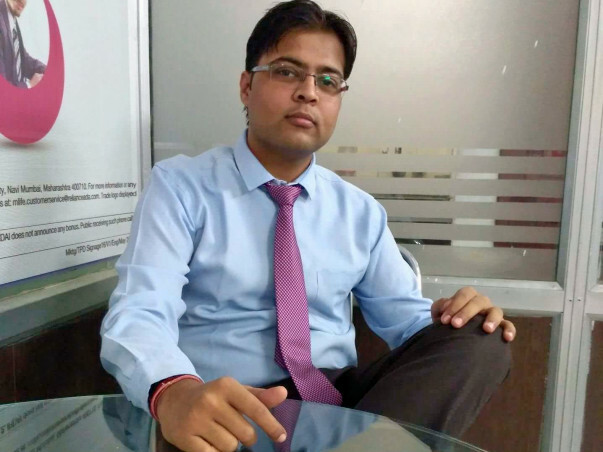 I am Vineet Sehgal and I am suffering from End-Stage Renal Disease (ESRD) diagnosed in November 2016. Both of my kidneys have failed and I need dialysis 2 times a week at 4 hours a day for each dialysis run. Due to the dialysis my body is getting infected frequently and creating more complications which are very painful. I used to work earlier but for the last one and half year I have been unable to work because of my deteriorating health conditions and even none of the company is interested to offer me a job as I have get the dialysis twice a week and they want medically fit employee. I have lost my father in month of October 2016 just after one month I have been diagnosed with this critical illness which can only be treated by a Kidney Transplant. All the earnings and some savings left behind by my father all were spent on my dialysis and medicines. According to my nephrologist, transplant is the best recommended treatment for me as both my kidneys are damaged. My doctor recommended that a living donor transplant is the best option for me to live a healthy life. At this point in my life, I am hoping to move towards a transplant while my physicians and transplant team feel that I am still medically strong enough to undergo the transplant procedure. 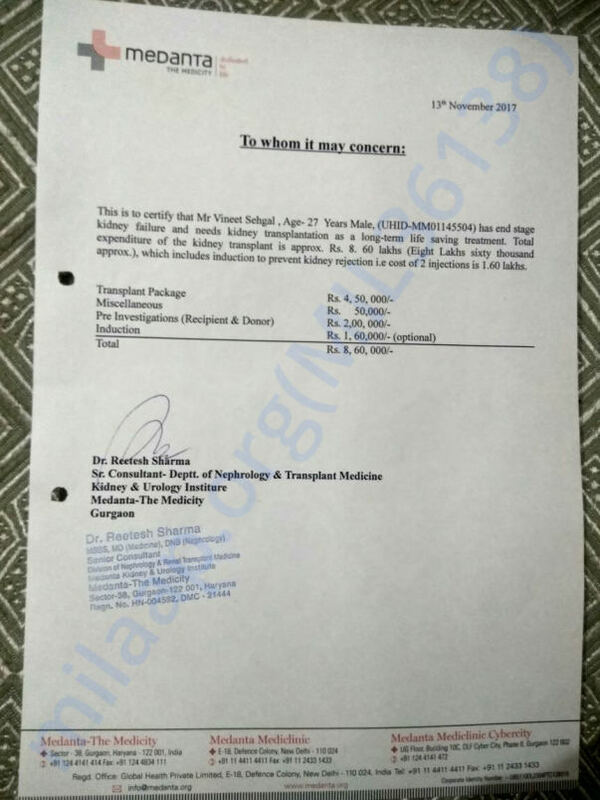 One of my family relative is ready to donate his kidneys to me which may give me a life of 10 to 20 years. The Operation costs for transplant and post operative treatment would come to approx. 8.6 lakhs. At this stage I do not want to lose opportunity and hope, so please help me in this critical situation. 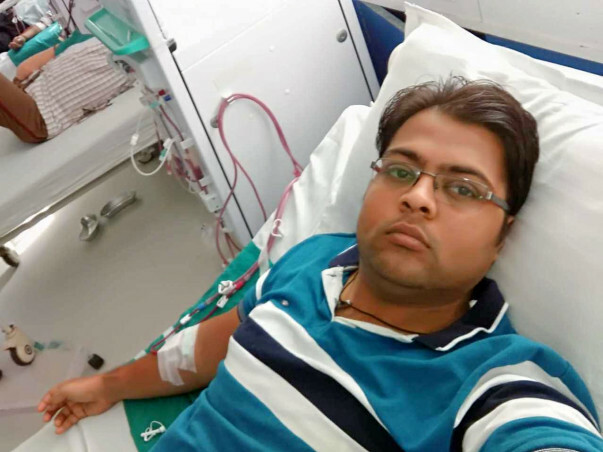 I was hoping to get a transplant soon but unfortunately my immediate donor has some health issues due to which he cannot be suitable for donating the kidney. Have been on dialysis for almost 2 years now, have no savings left. Few of my relatives are contributing to bear my expenses up to the extent but that is not enough to keep my dialysis run with other medicines, injections and in between complications. Last month I have to get a blood drip due to low haemoglobin. I am in search of a compatible donor to get the transplant done as that is the only option left for me. I request everyone whosoever read this post, please suggest and help me. Thanks to all who supported by sharing and donation amount for my problem. 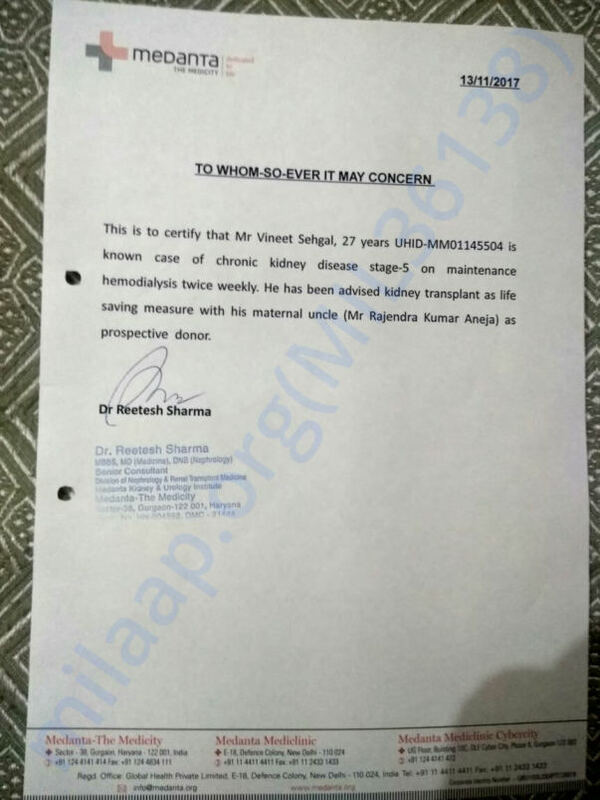 My immediate donor is not well and may not be able to donate kidney. 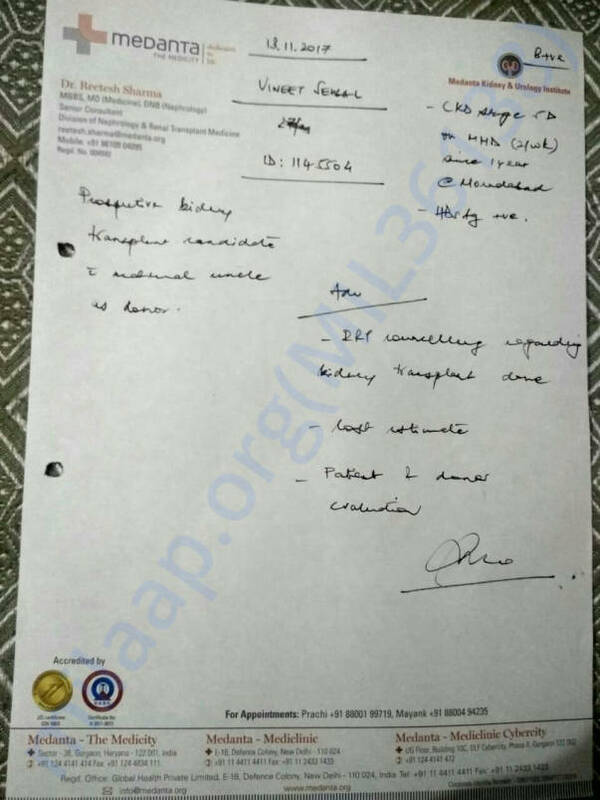 We are now in search of kidney donor. Recently visited the hospital with donor, have been advised to go through some tests. Will examine the fitness of donor to proceed further on matching tests etc. Hopefully all comes positive and I should be treated at the earliest. I thank everyone who donated in this cause as I am in need of the most crucial time suffering today. Need your blessings and best wishes.